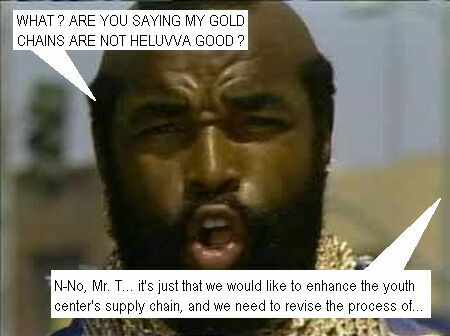 I got so pissed off for having to fix mistakes left by some “top five” IT consulting companies in recent times that I decided to use them in my first contribution to the “Mr. T Versus” scene (more details here). 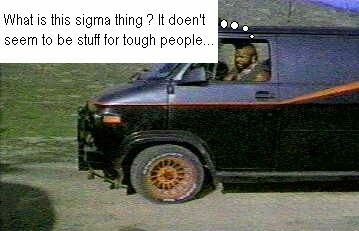 Images were mostly grabbed from other “Mr. 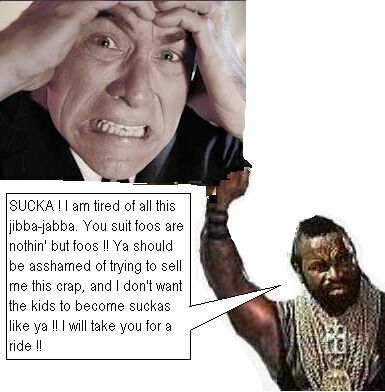 T versus” sites (special credits to Mr. T vs. Turok for the last picture), and also from Philip C. Robinson’s site. The artwork is crappy, as it should be. 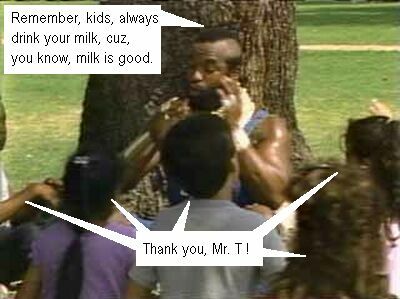 Since English is not my first language (neither regular English nor Mr. T’s), there may be a few mistakes. 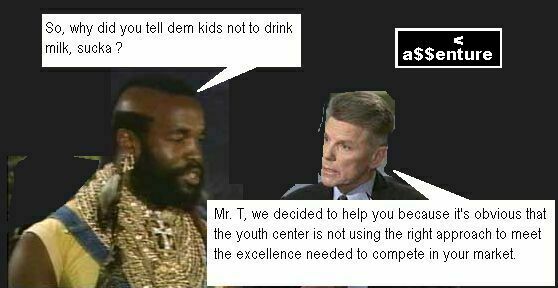 Mr. T, as usual, is sharing his wisdom with the kids at the youth center. However, it seems that somebody visited the kids beforehand… somebody evil. …and, of course, he decides to investigate. Now he will face the worst crap in the face of earth: consulting salespeople. 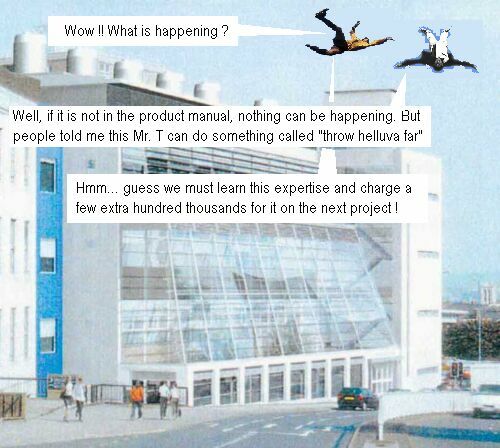 They try to fool our hero (but, anyway, they try to fool everyone). 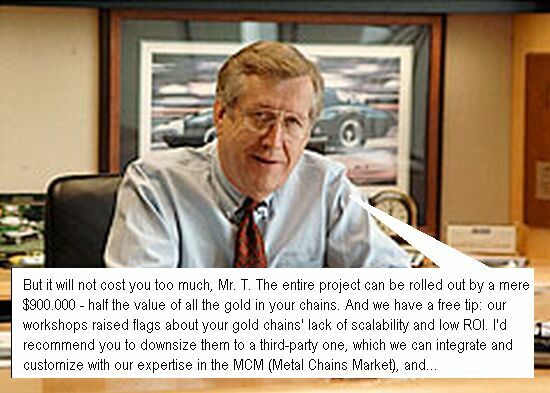 Do you believe there are companies that actually spend money to hear crap like that ? Hmmm, bad move. 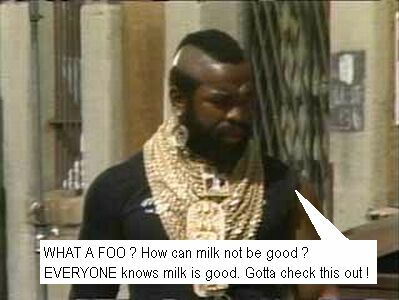 Everyone knows that Mr. T’s gold chains are untouchable. 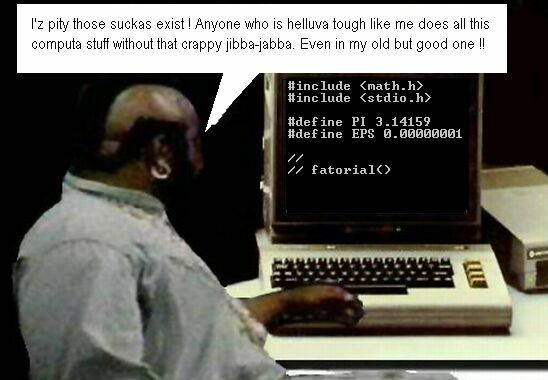 Is this guy nuts or what ? I guess it’s throw time. you don’t need other people to do your job.